In today's world of ever-changing technology, threats are becoming more and more complex. Thus, they can be harder to detect than ever. Threat detection can be a challenge, consuming a lot of time and money if you are always scrambling to keep up. With managed threat detection, however, you can leave the heavy lifting to the experts and get back to work handling daily business operations. The specifics of threat detection depend on your business and its level of risk, but no matter how large or small the business is and no matter its risk management needs, threat detection cannot be ignored. Ideally, threat detection works to identify and block issues before they take hold, so your company is in a proactive position for cyberdefense. We have all heard stories of companies that suffered from major cybersecurity failures, some of which have since been forced out of business or required to pay hefty fines. It can be very difficult for a company to come back from a major cyber threat especially as more stringent privacy protocols like EU General Data Protection Regulation (GDPR) come into play. Simply put, today's businesses and organizations simply cannot afford to ignore threat detection and management. What is Managed Threat Detection? With managed threat detection your company outsources the work of threat identification to an expert platform, service, and/or team. In our case, we sell the SOCSoter appliance and service. The SOCSoter CYBERDEFENSE service acts like a burglar alarm for your entire business network. It detects security issues with four types of intrusion detection systems, 24/7/365. The system looks for things like abnormal behavior, viruses, common adware unauthorized access, changes in traffic, and known threat behavior. It learns as it goes, understanding the regular patterns and use of your system so that things that may be amiss stand out. Alerts go to trained, certified security engineers who are available all the time. They will personally evaluate each alarm and respond as needed, to identify and eliminate false positive alerts, validate threats, or otherwise analyze the situation and take the appropriate action. This goes beyond what a basic firewall or filter can do. In fact, this managed threat detection device picks up what those cyberdefense attempts miss. It is also HIPPA and PCI-DSS compliant, so if you are working with protected information, this will not introduce any problems with compliance to regulations. When the team gets a threat alert they can do things like ban malicious files or stop unwanted processes, quarantine the parts of your system that may be impacted, introduce continuous monitoring until the threat has been quashed, and analyze what happened after the fact so that it will not happen again. Managed threat detection with Integrated Computer Services and SOCSoter CYBERDEFENSE offers many benefits to your business. Of course, the ability to detect advanced threats and minimize cybersecurity risk is key to ensuring the longevity of your company, but there's more to managed threat detection than that. Managed threat detection ensures your company is aware of breaches as soon as possible which means a rapid response can be deployed. Security issues, and especially privacy breaches, can damage the reputation of your company and lose clients if the situation isn't handled quickly, and managed threat detection gives you the best chances of getting everything under control right away. The CYBERDEFENSE approach also gives your business valuable insight with customized reports and logs. You will have greater visibility into what threats your business faces, with the reassurance that the experts have already handled these risks and issues. Managed threat detection saves your business from the upfront cost of cyberdefense, as you will not need to invest in in-house infrastructure or staff with the advanced skills for threat detection. The CYBERDEFENSE service is an affordable, consistent cost, with no surprises. We also provide the threat detection appliance free with every service subscription so you do not have to worry about buying both the hardware and the managed threat detection and response. On top of that, it improves productivity across your business. With less resources invested into finding threats, IT staff and others can focus on other things and not have to worry about what is going on in the background. Integrated Computer Services is your partner in ensuring your organization's cybersecurity is as strong and robust as it can be. 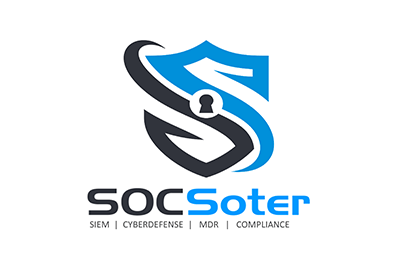 We would be happy to share more information about SOCSoter CYBERDEFENSE. We can answer any questions you may have about how we can help your business with managed threat detection. Get in touch with us online, or call us at (888) 941-7770. One of our team members will be in touch with you to discuss your cyberdefense options.